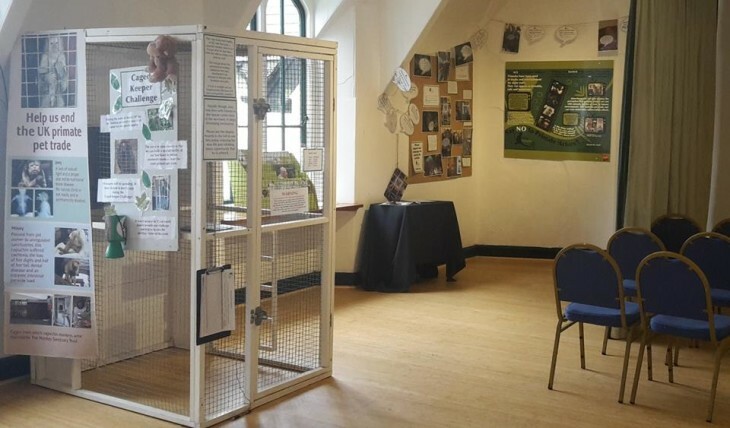 Come into the display room and learn more about primates, where they come from and how and why some have ended up here at the Monkey Sanctuary. You can also find out about the work we do through our charity, Wild Futures. Take a seat and watch a film to see how we rescued some of our monkeys and find out about Joey’s story and how he lived before arriving at the Sanctuary. Help us to stop the primate pet trade, get involved and find out more about some of our campaigns work. Fill in your very own “primates not pets” speech bubble and help us to reach our 50,000 goal by signing our latest petition. Discover other projects we have been supporting overseas and how the money raised through Wild Futures has been used to help protect primates and habitats worldwide.